To appreciate ‘Discovery’, it’s worth rewinding to November 2000 when Daft Punk released ‘One More Time’, the first new music from the duo in two years, and the public’s first glimpse of their second album. Back then, Daft Punk weren’t the dance demigods they are now. Rather, they were two nerdish guys from Paris with a brilliant but largely underground album to their name. They were popular, sure, but at the level of 2,000-capacity venues rather than festival headliners. And ‘One More Time’, though one of their biggest hits, divided their fans. Some people thought it was a bit cheesy. Others were put off by the then-novelty auto tune effect, which still brought up images of Cher and Eiffel 65 in 2000. When ‘Discovery’ dropped three months later, many listeners were perplexed. Where were the disco samples and tough house beats of the band’s debut album ‘Homework’? Where was the techno grit of tracks like ‘Rollin’ And Scratchin’’? And what the hell was with all the heavy metal guitar tapping that invaded track two, ‘Aerodynamic’, like a horde of metallurgic Vikings? ‘Discovery’, like many truly great albums, was hard to understand at first. It moved on the Daft Punk sound in ways that initially sounded preposterous, bringing guitar licks, yacht rock, gilded vocal effects, baroque pop, dissolving electro beats and — will someone think of the children? — Barry Manilow samples to a world that was unprepared for their impact. The first time many fans heard ‘Discovery’, they were perhaps more bemused than impressed, unsure if they even understood, let alone liked, the new direction that the band was going in. But slowly, ‘Discovery’ started to grow in popularity. Somehow, this monolithic mixture of hard rock guitars and soft vocal effects, of simple song structures and elaborate production tricks, of bright disco drums and moody keyboard noodling, started to cohere into something that wasn’t just better than Daft Punk’s debut album, it was on a different scale of inspiration, the kind of ludicrously fluent leap of imagination that separates the good from the truly inspired. What’s more, ‘Discovery’ came with melodies that sounded genuinely world beating, from the ecstatic romantic reverie of ‘Digital Love’ to the rained-out heartbreak of ‘Something About Us’. 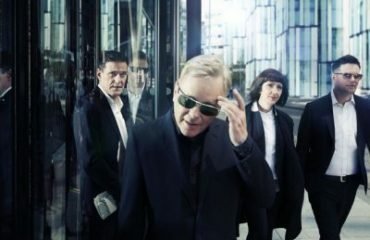 These were melodies so strong that they could be chopped up, packaged and sent out to work with entirely different songs, as DJ Mag saw on the band’s all-conquering Alive 2006 – 2007 tour, where ‘Discovery’ provided the highlights of a set that spat the band’s catalogue back in fascinating new juxtapositions. Evidently, this writer wasn’t the only one paying attention to ‘Discovery’. For a time, soft rock samples became commonplace in dance music, imbuing songs such as Armand van Helden’s ‘My My My’ (which samples rocker Gary Wright’s ‘Comin’ Apart’) and Eric Prydz’s ‘Call On Me’ (based on Steve Winwood’s 1982 MOR classic ‘Valerie’) with a little of ‘Discovery’s hard-polished soul. In 2007, Kanye West used ‘Harder, Better, Faster, Stronger’s world-beating robotic hook on ‘Stronger’, a track that topped the US charts and introduced electronic effects to commercial hip-hop, laying the foundation for the EDM boom. By the end of the 2010s, ‘Discovery’, which initially drew confusion from many journalists, was regularly placing in best of the decade lists. In 2018, its reputation is untouchable. With this divine musical inspiration on show, it might seem superfluous to talk about the activity that surrounded ‘Discovery’’s release. 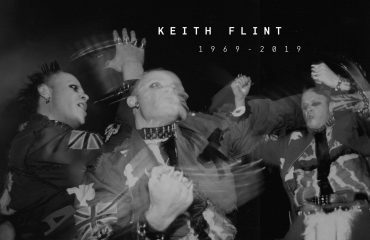 And yet the album’s form is indelibly related to its function, the glistening futurism of ‘Discovery’s music going hand in hand with the visionary manner in which it was released. Initial copies of the album came with plastic cards that gave membership to the Daft Club – an online fan club in the dial-up age – where fans could test their creaking internet connections by downloading exclusive material from the band, an idea that was as audacious as it was ultimately untimely. ‘Discovery’ was also made into an album-length film, ‘Interstella 5555: The 5tory Of The 5ecret 5tar 5ystem’, which plotted the tale of an interstellar pop band around the album’s 14 tracks, giving each song its own visual accompaniment. That doesn’t sound too remarkable now, but ‘Interstella 5555’ was released in 2003, some two years before YouTube was born, and a good decade before its popularity as a platform for music would make it obligatory for any song released to have at least some form of video accompaniment. Can it really be coincidence that a song entitled ‘Too Long’ is, in fact, too long? Then there was Daft Punk themselves. 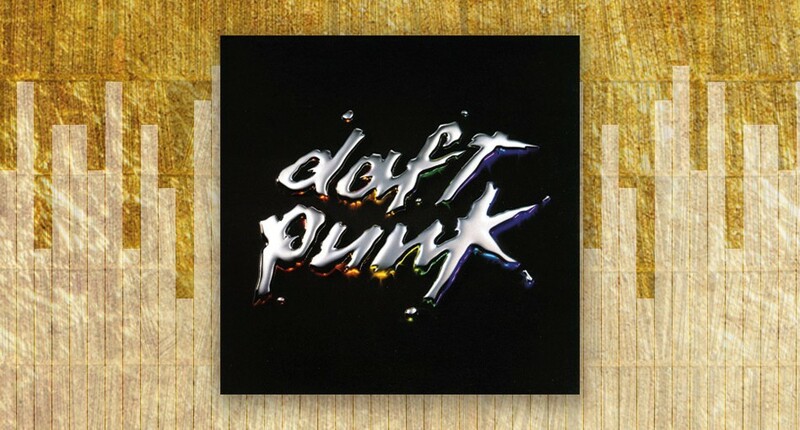 In the run up to ‘Discovery’’s release, Thomas Bangalter and Guy-Manuel de Homem-Christo took on the guise of robots, pretending that the flesh and blood members of Daft Punk had been injured in a studio accident. At the time it seemed slightly ridiculous, a fun trick that would be jettisoned when the band’s next album cycle came around. 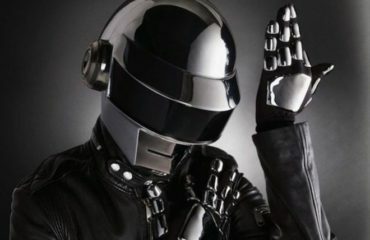 Instead, it proved a move of lasting genius, providing the duo with one of the strongest visual identities in dance music while protecting Bangalter and de Homem-Christo from the ravages of fame, as the social media age stood ready to pounce. Daft Punk weren’t the first band to hide their faces behind masks, of course. But if you imagine for a minute that Deadmau5 et al were inspired by punk oddballs The Residents, then your circuits may need a flash cooling. For all this, ‘Discovery’ isn’t a perfect album. The order of the album’s songs doesn’t quite work, and some tracks drag on a little. But this only seems to increase the overall fascination for ‘Discovery’. These imperfections feel like the flaws deliberately woven into a Persian rug, a reminder that there is imperfect human endeavor behind this record rather than pure robotic perfection. Can it really be coincidence that a song entitled ‘Too Long’ is, in fact, too long? And why would you start ‘Discovery’ with ‘One More Time’, the kind of song destined to be placed at the end of an album to send the listener back to the beginning? This may be a flight of fancy too far. But you don’t need outlandish conspiracy theories to appreciate an album that was pivotal for dance music and, indeed, for music as a whole. Put it this way: you can imagine a musical world where Daft Punk never made ‘Homework’, ‘Human After All’ and ‘Random Access Memories’. It would be sadder for their absence but not radically different. But without the influence of ‘Discovery’, where on earth would we be? What would have become of yacht rock? Would auto-tune still be a thing? Would Kanye West have discovered electronic music? Would the ‘00s EDM boom have happened? Would Eric Prydz and Deadmau5 be stars? 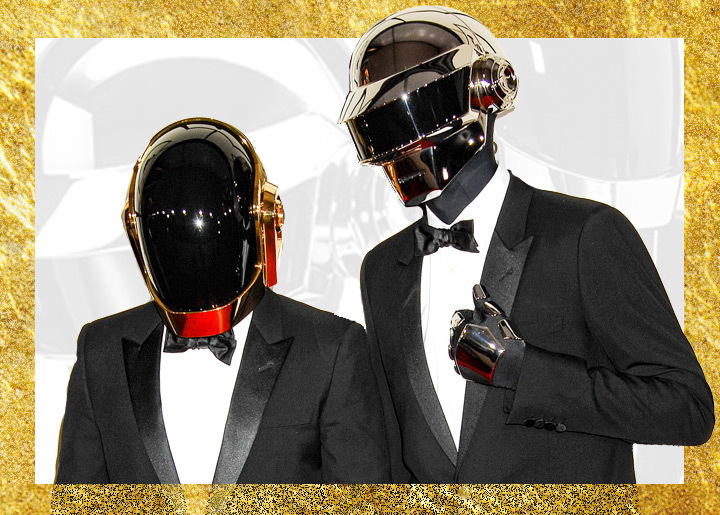 Would Daft Punk even exist? Essential doesn’t even come close to describing this heart-breaking, visionary album.